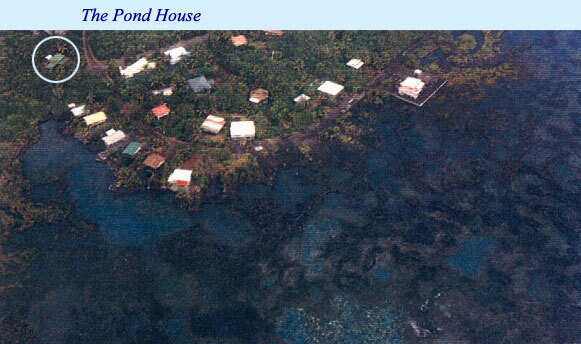 Aloha - Welcome to Kapoho Vacation Cottage, ( 'Pond House') and enjoy quiet, sunny Kapoho. The 'Pond House' is a private home, in a native Hawaiian garden setting where you are our only guests, giving you a true feeling of tropical serenity and aloha spirit, your retreat on Hawaii! We live five minutes away giving you privacy, yet close enough to attend to your needs or questions that arise about local insights etc. We love to fill the 'Pond House' with orchids and give a tour of the nursery to interested guests. 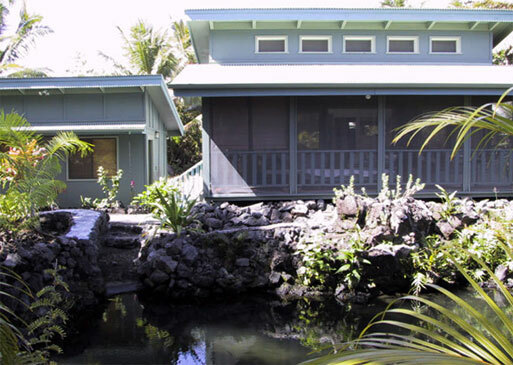 The Pond House is the perfect setting for your Big Island vacation. We are adjacent to the Wai-Opae Marine Life Conservation District with excellent tide pool snorkeling, where viewing beautiful tropical fish and coral is just steps away from your door. We are located between Hilo and Volcanoes National Park, situated in the Puna district in a tropical seaside community of Kapoho, 15 minutes from the quaint village of Pahoa, where you will find numerous restaurants and shops. We're also just a short drive from the beautiful Kalapana "new" black sand beach, at the end of HWY 137 where uncle Robert's Hale has a Wednesday night market with local produce, products and live music. Continuing down the road you will find the turquoise blue waters of Kehena Beach ( where you often see dolphins, sea turtles, or even whales during Hawaii's winter months. ), MacKenzie State Recreation Area, where the ocean waves dramatically crash along the lava cliffs, and Issac Hale Beach Park, where you can watch our local surfers! Ahalanui Park only five minutes away from the' Pond House' has a huge natural geothermal heated hot pond surrounded by a coconut grove swaying in the trade wind breeze.